Well, hello from the start of my Spring Break! 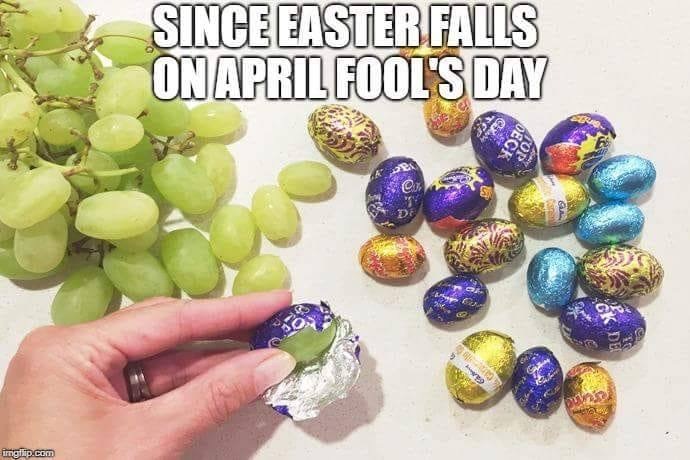 It’s actually called Easter Break in Ireland. My kids have a half day of school today and then TWO WEEKS off. And we don’t have any plans. Should I be worried for my sanity? On Monday I shared a recap of what St. Patrick’s Day is like in Dublin. Then on Wednesday I gave you a glimpse into why I volunteer at school riveting story about my latest rummage sale find. Now let’s get to the good stuff. The Happy List! 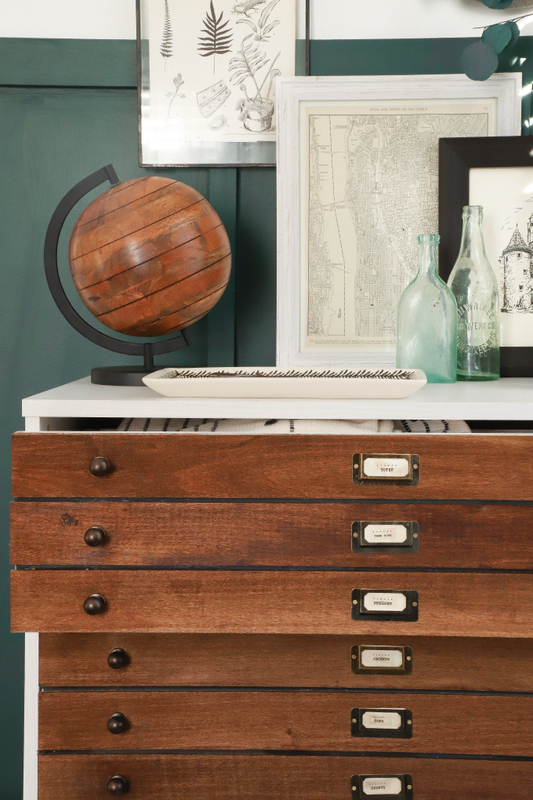 This faux map drawer DIY is awesome! If it looks as good in person as it does in the photos, I’m sold. Get the detailed directions for this DIY project at I Spy DIY. I also like that globe on the dresser. 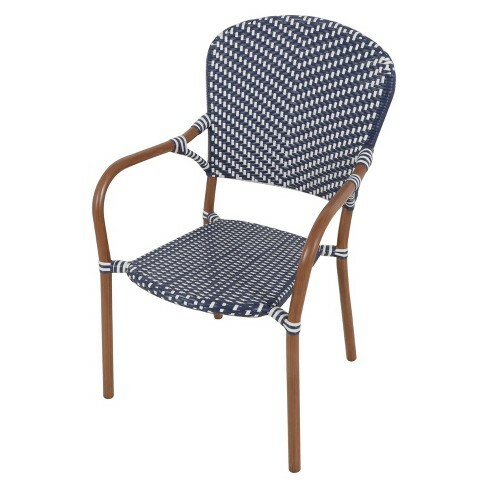 I’m too lazy to track it down, but a couple of weeks ago I shared a bistro style chair that I LOVED. However, it was much too expensive for my taste. Well, guess who has a more affordable option? Target, of course! These are chairs from their outdoor collection, but I don’t see why you couldn’t use them anywhere you wanted. They come in grey too. Have I ever told you do you care how I purchased my silverware? From Betty Crocker points, of course! That’s how my mom purchased hers and that’s how I purchased mine. I doubt that’s even a thing anymore, but I love my silverware. Anyway. Grapefruit spoons. I have them. I rarely use them. Therefore, I was highly susceptible to clicking on an Epicurious article about grapefruit spoon hacks. Or more simply put – other ways to use your grapefruit spoons. I already did #5. I’m curious about #2. I could see #4 being helpful. 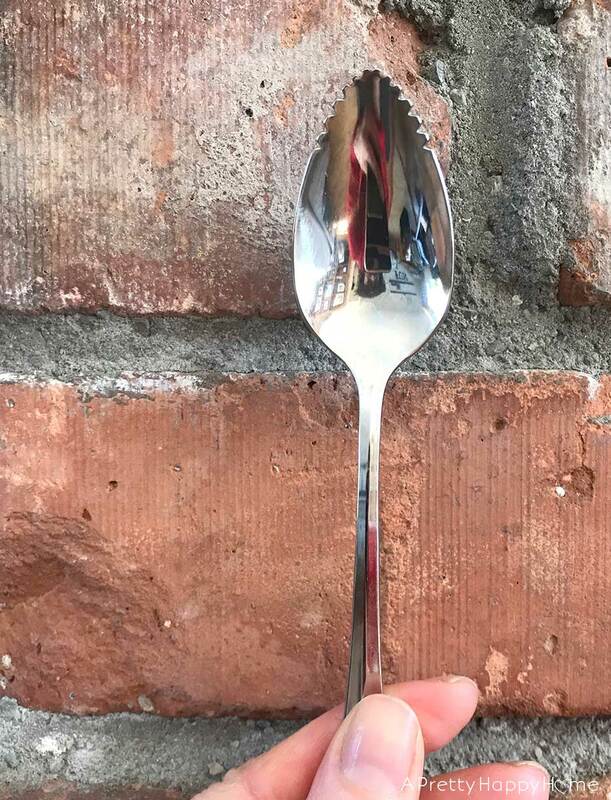 You’re welcome for the spoon selfie. But it still made me laugh! I have stared at this Instagram picture from The Fox Group for a good long while. There’s a lot of eye candy here! Let’s talk about that gorgeous brass sink! I’m not sure I want to know how much a brass sink from Italy costs or what’s involved in maintaining one, but I’d like to direct your attention to the towel bar. I wonder if I’d like how it functioned in reality? Would the towel get caught in the cabinet door? Perhaps if you didn’t use the under-the-sink cabinet often it would be okay. I did not know you could color sand with paint. Did you? 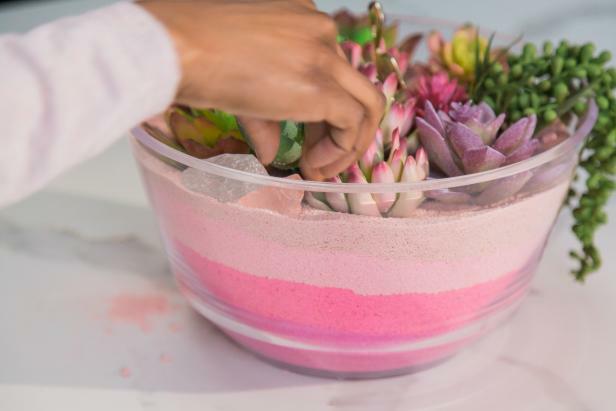 Using the colored sand to make a faux succulent garden is a neat idea and a good way to use your pretty glass bowls that spend way too much time in the cupboard. Samoa Girl Scout Cookies are my favorite type of Girl Scout Cookie. And if you mix them in vanilla ice cream… To. Die. For. 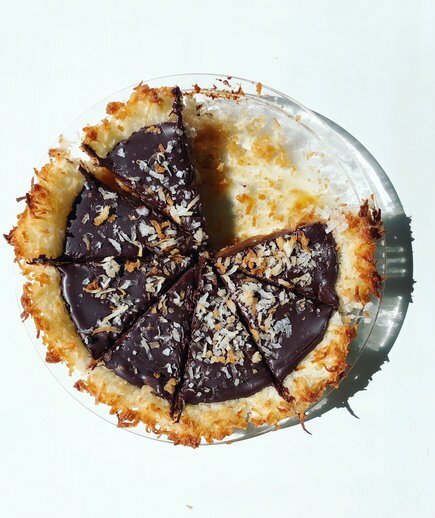 That’s why this pie inspired by the cookie caught my eye. After reading the directions, it looks easier to make than I thought. Famous last words? Why don’t more homes look like this? 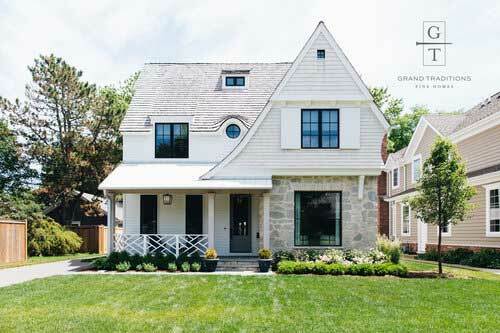 Please do yourself a favor and go look at the portfolio for Grand Traditions Fine Homes. Go forth and enjoy your day! Happy Friday!